Moore was just 16 years old when he moved from Belfast to Dublin in 1969 to join Skid Row, which featured Phil Lynott as lead singer. 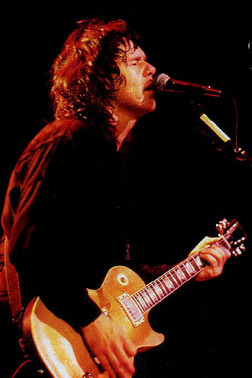 As well as playing with Thin Lizzy for several periods, Moore worked separately with Lynott, who died in 1986 from drug-related complications. 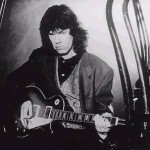 Moore also worked with a number of top artists, including George Harrison. 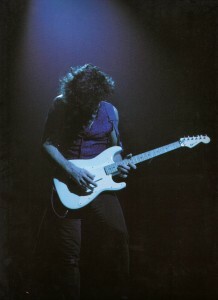 The lead guitarist received critical acclaim for his work on the 1974 Thin Lizzy album, Nightlife, but would never be constrained by the music group format. A year earlier, he had released his first solo album Grinding Stone and his virtuoso playing was to make him a recognised artist in his own right. Although returning to Thin Lizzy briefly in the late 1970s, his solo work cotinued to garner interest and he also enjoyed UK chart success with Lynott, via singles Parisienne Walkways and Out In The Fields. Throughout his career, Gary Moore was to embrace a range of genres including blues, metal and hard rock. 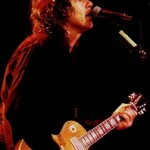 He performed on stage with a range of major artists and released 20 studio albums.